The analysis of data from the U.S. Centers for Disease Control and Prevention (CDC) suggests that 2.4 percent of American children between the ages of 3 and 17—or 1 in 41—have been diagnosed with autism, higher than most earlier estimates of about 1.46 percent or 1 in 68 children. Wei Bao, assistant professor of epidemiology in the UI College of Public Health and corresponding author of the analysis, says the higher number shows the need for officials to think about reallocating health care resources to care for significantly more people with autism. The UI analysis used nationally representative data from the CDC’s National Health Interview Survey from 2014 to 2016, which collects data on a broad range of health topics through thousands of in-person household interviews each year. As part of the interview, CDC survey-takers ask respondents if the randomly sampled child living in the household has ever been diagnosed with autism. Bao says the previous estimate of 1.46 percent was derived from the CDC’s Autism and Disabilities Monitoring Network (ADDM), which collects data from the health and special education records of 8-year-old children at 11 selected sites across the United States. The UI analysis was based on a nationally representative sample of children ages 3 to 17, and Bao cautions that these methodological differences in study design make direct comparisons between the two databases difficult. The analysis also confirms earlier findings about gender and racial/ethnic disparity of autism in U.S. children, that it is much more frequent in boys (3.54 percent) than girls (1.22 percent), and less frequent in people of Hispanic origin (1.78 percent) than in non-Hispanic whites (2.71 percent) or non-Hispanic blacks (2.36 percent). It found the highest prevalence of autism in Northeast states, at 3.05 percent. The Midwest was at 2.47 percent, the West at 2.24 percent, and the South at 2.21 percent. Bao speculates that rates are lower in the South and West because higher percentages of the population living in those states are Hispanic, a population that tends to have a lower prevalence of autism overall. Bao says the limitation of the analysis is that the data is self-reported by the household respondent to the CDC survey-taker and is not subject to any third-party adjudication. The analysis does not identify a cause for the increasing number of autism spectrum disorder cases. Bao says greater awareness among parents and health care providers might be the cause of some of the increase, but environmental and genetic factors likely are responsible for a large part of the gap. He points to previous studies—including one of his own—that show children are at greater risk of autism if their mothers have diabetes before or during pregnancy; since diabetes is often caused by obesity, the increase could be linked to the increasing weight of Americans. The paper, “Prevalence of Autism Spectrum Disorder Among US Children and Adolescents, 2014–2016,” was published in the January 2018 issue of JAMA. 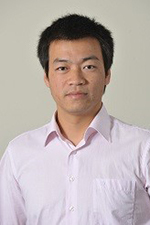 Its first author is Guifeng Xu, PhD candidate in the UI College of Public Health and graduate research assistant in the UI Roy J. and Lucille A. Carver College of Medicine, and is co-authored by Buyun Liu, postdoctoral researcher in the College of Public Health, and Lane Strathearn, professor of pediatrics in the Carver College of Medicine.